Under the leadership of the Communist Party of Vietnam for the past 65 years, the army has grown continuously and overcome numerous hardships to liberate the country, Ho Chi Minh City Party leader Le Thanh Hai said December 20. He was speaking at a meeting held at Thong Nhat (Unification) Hall in HCMC to mark the 65th anniversary of the Vietnam People’s Army and the 20th anniversary of the All-People’s Defense Day (December 22). 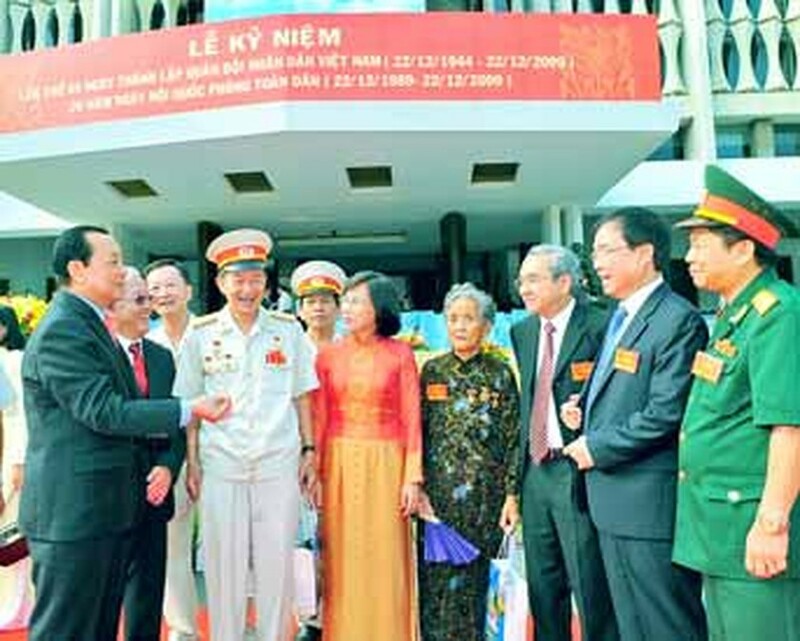 Attending the event were former Prime Minister Phan Van Khai; Senior Lieutenant General and Deputy Defense Minister Phan Trung Kien; Chairman of the city’s People’s Committee Le Hoang Quan; Chairman of the city’s Fatherland Front Committee Duong Quan Ha; Chairwoman of the city’s People’s Council Pham Phuong Thao; and representatives of the Military Zone 7, the city’s War Veterans Association, city-based armed force units, and young people. 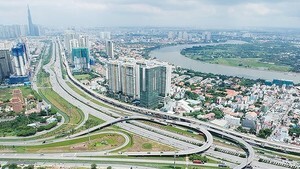 As part of the Vietnam People’s Army, the city’s armed forces have also overcome all challenges and hardships to fulfill the tasks entrusted by the city’s Party Committee, Government and people, he said. The city’s army has maintained political security and social order and joined hands with people across the country to implement the doi moi (renovation) policy led by the Party and Government, he added. He advised the city’s armed forces to continue perfecting themselves to become more modern and professional so that they can best perform their duties of protecting political security, social safety and order. They should also continue contributing to the development of national defense, he added. The day also saw an art show titled “Green is beautiful forever” held in the evening at the Youth Cultural House. 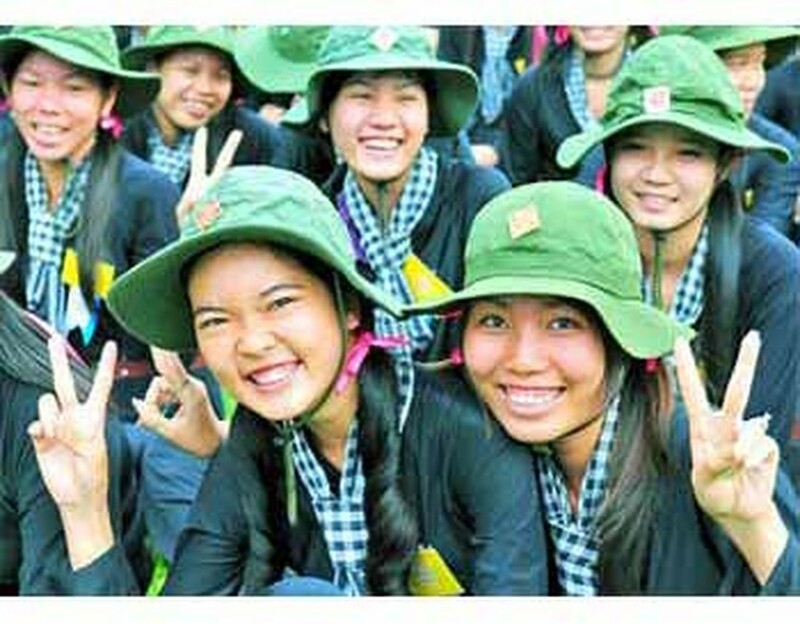 At the event, the city’s Communist Youth Union said it had raised more than VND240 million (around US$13,000) to buy gifts for soldiers stationed in borderland and island areas during the upcoming Tet (Lunar New Year Festival), which will fall on February 14. Also on the same day, the liaison commission of Corps K33 held a get-together for its former members to celebrate the 45th anniversary of their crossing Truong Son range to the South to fight American invaders.